NHRA officials announced the 24-race 2019 NHRA Mello Yello Drag Racing Series schedule, which will again feature intense racing action at tracks across the country. Millions of fans will experience sensory-overload at its best with side-by-side racing action where victories may be determined by mere thousandths of a second. All locations on the series schedule are confirmed for the 2019 season and only a few stops are changing dates. The NHRA SpringNationals in Houston move up one weekend to take place April 12-14. Also moving up on the schedule, the Virginia NHRA Nationals will commence May 17-19 in Richmond, Va. Conversely, the Menards NHRA Heartland Nationals presented by Minties at Heartland Motorsports Park in Topeka, Kan. moved to June 7-9. The AAA Insurance NHRA Midwest Nationals in St. Louis are shifting down the calendar and will take place Sept. 27-29. 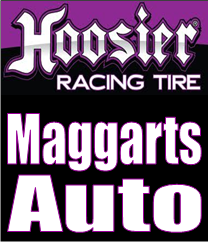 Feb. 7-10-Lucas Oil NHRA Winternationals, Pomona, Calif.
March 14-17-Amalie Motor Oil NHRA Gatornationals, Gainesville, Fla.
April 26-28-NGK Spark Plugs NHRA Four-Wide Nationals, Charlotte, N.C.
May 17-19-Virginia NHRA Nationals, Richmond, Va.
June 7-9-Menards NHRA Heartland Nationals, Topeka, Kan.
June 14-16-Fitzgerald NHRA Thunder Valley Nationals, Bristol, Tenn.
July 5-7-NHRA New England Nationals, Epping, N.H.
July 26-28-NHRA Sonoma Nationals, Sonoma, Calif.
Aug. 15-18-Lucas Oil NHRA Nationals, Brainerd, Minn.
Sept. 12-15-Dodge NHRA Nationals, Reading, Pa.
Nov. 7-10-Auto Club NHRA Finals, Pomona, Calif.